March 2nd – come join me for THREE hours of studying calligraphy! It’s going to be such fun. All supplies are included in the cost of the workshop, as well as drinks and light refreshments. We’ll be meeting in Coppell. Email me for all the particulars! 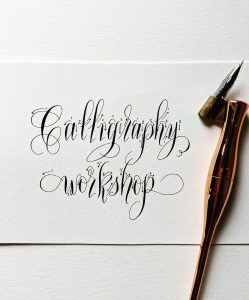 This entry was posted in Calligraphy, Calligraphy Class and tagged Calligraphy class. Bookmark the permalink.